Cutting toenails – pretty straightforward, right? Most people believe that cutting toenails is pretty easy, right? You might be surprised to hear that a large portion of the patients that a podiatrist typically sees are patients presenting with toenail issues. These issues can range from fungal nails, ingrown nails or that the patient is simply not able to reach down to their feet to cut their nails themselves. Most of us believe that cutting toenails is relatively straightforward, however a common presentation to podiatry clinics are nail pathologies that have occurred due to incorrect cutting techniques. 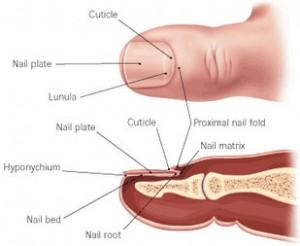 The way in which nails are cut can affect the way they grow. Nails that are cut too far down either side of the nail plate can be extremely painful and often become ingrown. This complication can be corrected through a simple nail surgery procedure known as a ‘Partial Nail Avulsion’, which sounds a lot more scary than it actually is. It involves injecting a small amount of local anaesthetic into the toe and removing the section of nail that is growing into the skin. fingertip, and is responsible for protecting the nail bed. Nails that are left with jagged edges or sharp tips are susceptible to getting caught on socks and bed sheets, which can result in a very painful injury to the nail. 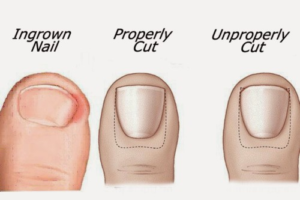 We advise that when cutting toenails, ensure to cut the nail straight across and avoid cutting the nails too short of too rounded (as seen in the picture above). Podiatrists are armed with a number of tools that enable us to cut nails appropriately. 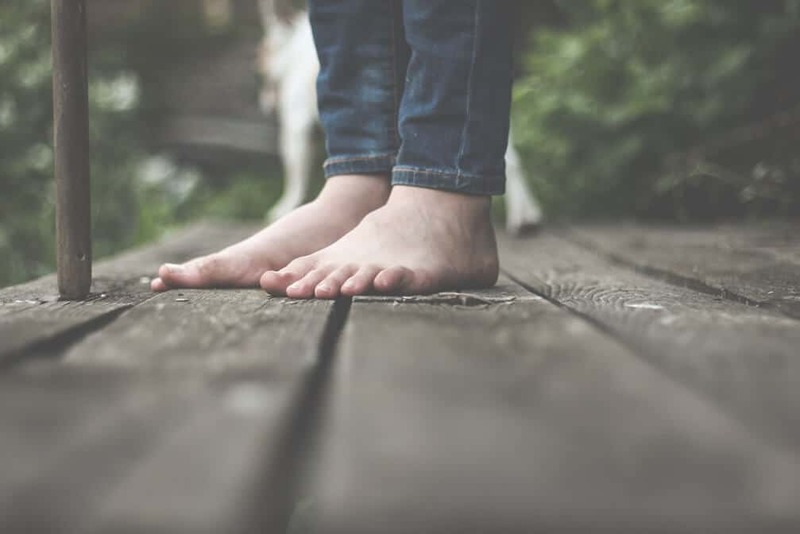 So, if you have any toenail issues or have difficulty reaching your feet to cut your own nails, book in to see one of our podiatrists today at Watsonia Podiatry!